Siaosi (George) Tupou I was the first King of Tonga. He united separate chiefdoms into a single state, becoming the undisputed leader of the whole of Tonga, published the first written laws in the country, opened the first parliament, and promulgated the constitution. He also protected Tonga from colonization. Tupou I was born circa 1797 as Tāufaʻāhau. The exact date of his birth is unknown, although December 4 (the date of his coronation) is often cited as the King's birthday. He adopted the name Siaosi Tupou in 1831, following his baptism. Siaosi is the Tongan version of the name George; he named himself after king George III of the United Kingdom. Tupou wanted to become king at an early age, but many local chiefs refused to recognize him. He had to resort to military engagement and intricate political maneuvers to secure their cooperation. 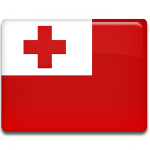 Finally, on December 4, 1845, Tupou was legally installed as Tuʻi Kanokupolu (chief) and proclaimed himself the first King of Tonga. The anniversary of his coronation is celebrated as King Tupou I Day.